He started his career as a draftsman with architectural firm Shore and Moffatt in the 1960s, moving in 1967 to specifications consultants Frost-Fernandez, and launched his own firm, Mike Hardy Inc. in 1972.
president of Icona Trade Shows Inc., May 1994, International Construction & Architectural Trade Show (ICATS), joint venture partner with Buildcore for the management, and day-to-day operations of CSC’s MANU-DATA Program. In October 1995, Horodelski was awarded ‘Best Technical Documentation,’ a prize sponsored by Contech trade show for the construction industry in Québec. Horodelski loved his work and received tremendous enjoyment from it. 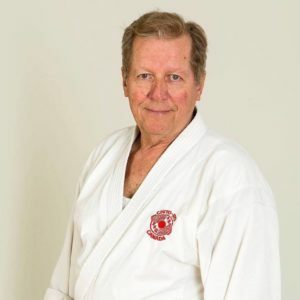 But he also put great passion into every aspect of his life including the farm, the horses, and the Bethany Hunt, a black belt in karate, scuba diving, motorcycle riding, boating, travel, Toastmasters, and Dale Carnegie. He was always interested in learning about people and places, and had a great enthusiasm and optimism for life. He will be missed by his many friends, colleagues, family members, and especially by his wife of 51 years, Marilyn Horodelski. Together they were an unforgettable couple. For those who wish to remember Horodelski, give blood. Alternatively, donations would be appreciated to the Canadian Cancer Society, Kidney Foundation of Canada, or Ontario Society for the Prevention of Cruelty to Animals (Ontario SPCA).